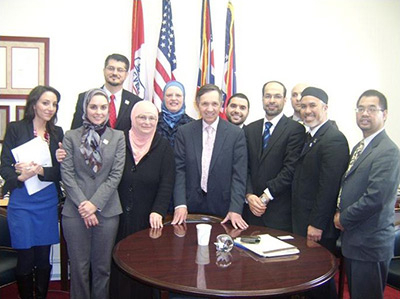 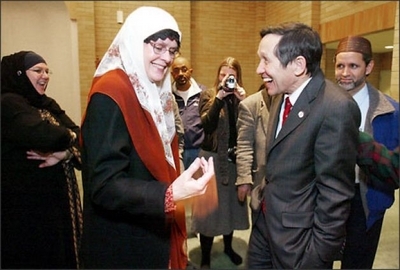 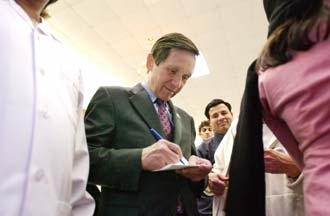 In 2008, according to the far-left Inter-Press Service, Kucinich alone of the presidential candidates attempted to court the Muslim vote. 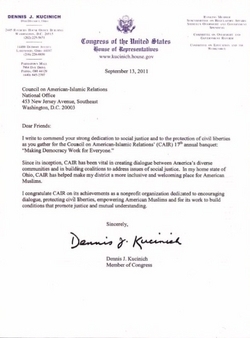 That same year, he condemned U.S. policy vis-à-vis Iran but not Iranian policy vis-à-vis the United States and called for establishing a "National Commission on Truth and Reconciliation" which he wants to "have the power to compel testimony and gather official documents to reveal to the American people … the underlying deception" that was the Bush administration's response to 9/11. 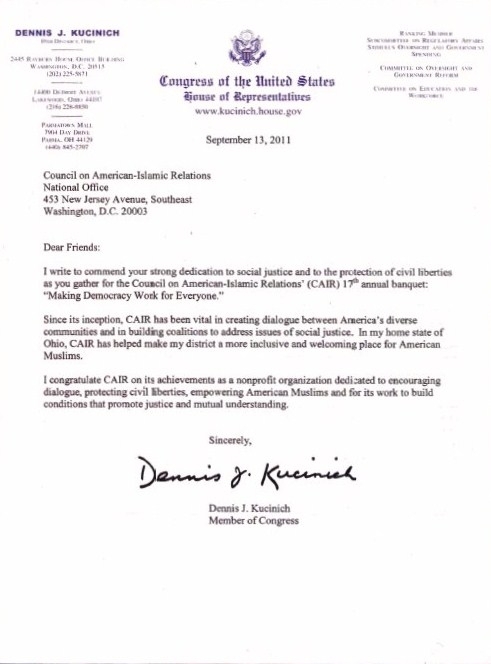 Related Topics: Council on American-Islamic Relations, Muslims in the United States, US politics | Daniel Pipes receive the latest by email: subscribe to the free mef mailing list This text may be reposted or forwarded so long as it is presented as an integral whole with complete and accurate information provided about its author, date, place of publication, and original URL.